After only 52 years our otherwise reliable Commer TS3decided to seize up on the way to our last official engagement of the year, the start of the Christmas festivities in Battle. 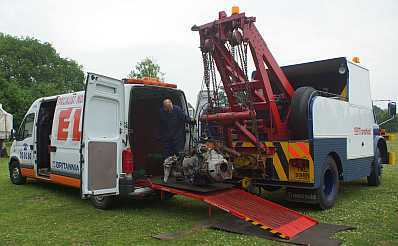 After the bus had been recovered to the comfort of his depot and Initial Panic was over the sump was removed and the problem diagnosed a big-end bearing had siezed. 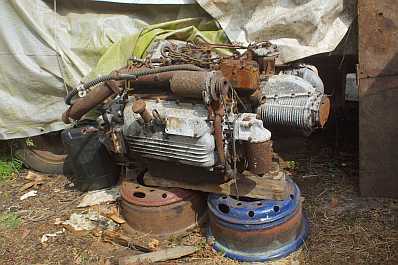 All was required was then to remove the engine, replace the crankshaft and a couple of con rods, and that should do it. Easy when you say quickly, but the truth was much different. 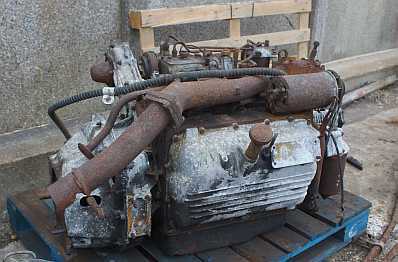 We had never been absolutely sure just how the engine was fitted, and that meant that removal would not be straightforward. 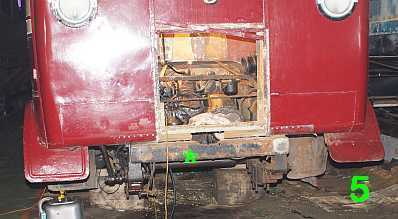 There were indications that the bulkhead between the cab and the lower saloon had been cut away, and it looked as if this was where a lifting beam would have entered to take the engine out, it was immediately apparent that the engine could not come straight out the front and it would have to be lowered to the ground and then pulled forward. 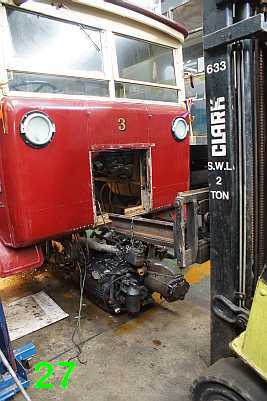 Our biggest relief was that the engine has not been fitted by lifting the bus body off the chassis but, in order to lower the engine to the ground the front axle would have to be removed, along with a couple of cross members. 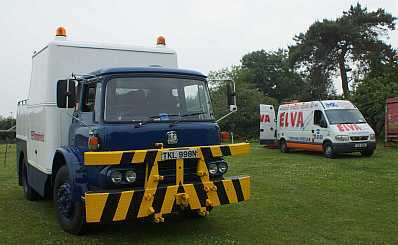 A replacement engine / source of spares was sourced in Kings Lynn and we are very grateful to Elva Recovery for lending us a van to collect the engine. 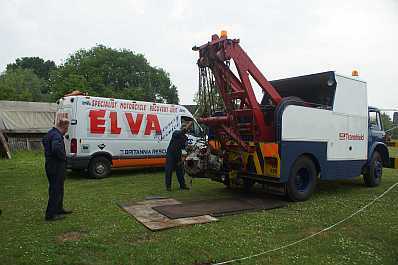 Without such assistance our maintenance of this unique vehicle, let alone its restoration would be much more difficult and the good folk of Hastings and St Leonards as well as our visitors wouldn't be able to enjoy "Happy Harold"
We are very grateful to Elva Recovery in Hastings who lent us one of their recovery vehicles, at no cost, so that we could collect this engine from Kings Lynn, 3/4 ton of engine isn't exactly what you could drop into the back of your estate car! now home, on a pallet awaiting investigation. 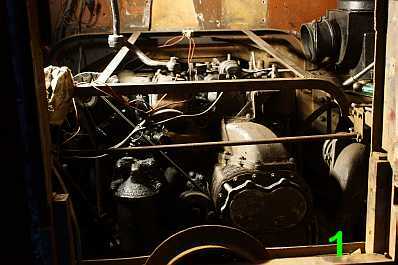 The Commer TS3 engine in situ, seen from the front of the bus with the radiator removed. 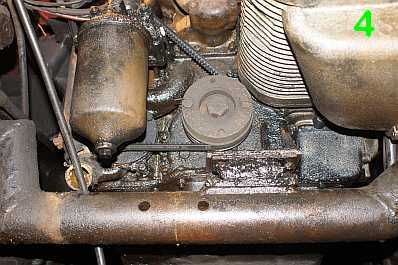 In order to allow full access to the engine. The handbrake had to be removed, it's over 4 feet long! 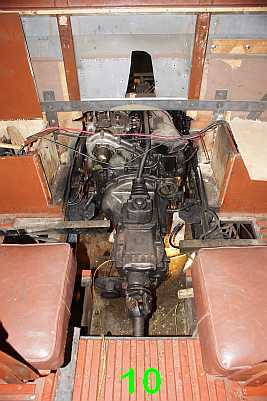 Picture 29, above, is the crossmember fabricated as a front engine mounting for Happy Harold's Commer TS3. 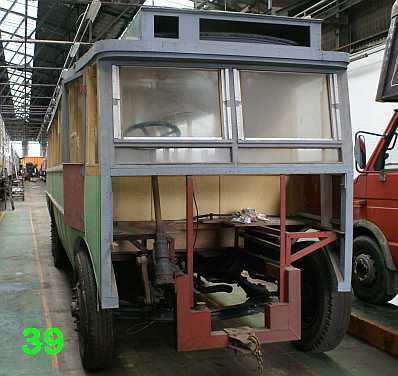 The significance of the front crossmember (38), is that it explains a mystery surrounding single deck Guy BTX number 45, where it had long been assumed that the ends of the chassis had been cut off before the front of the vehicle had been panelled over to make it into the waiting room in Hastings coach station. 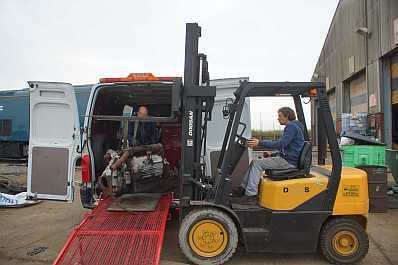 We now know that the chassis ends, have not been cut off, and that the crossmember was probably removed to faciliatate the removal of the electric motor, and there would have been no practical reason to put it back. 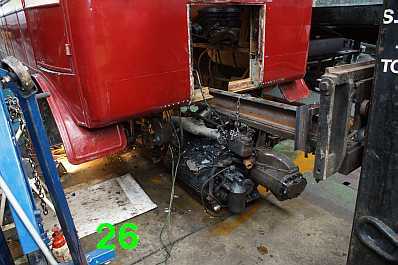 Number 45, shown on the right had had the engine bay modified to accept a Ford diesel engine which explains the stepped structure currently in place. the steering, currently on 45 is also Ford. 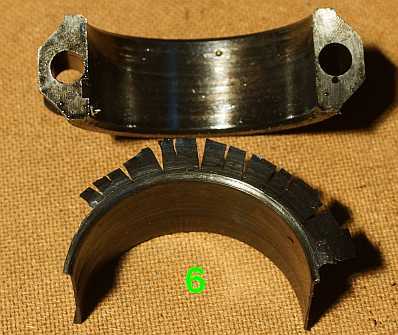 On the left, one of the damaged bearings with the bearing face, extruded, and the damaged big end cap that held it in place. 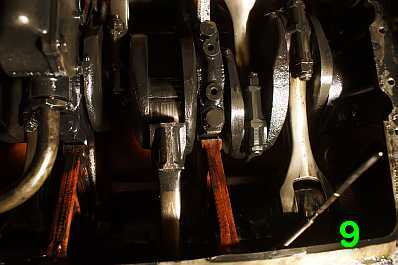 Above and below are views of the scored crankshaft. 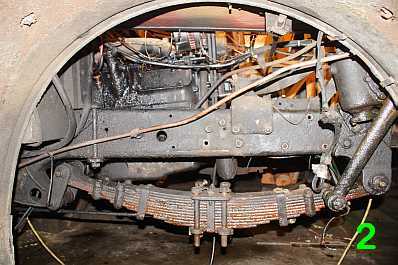 Picture 30 is the engine bay, with the engine removed, the cable starred in the middle is a heavy duty cable feed to the long gone electric traction motor. 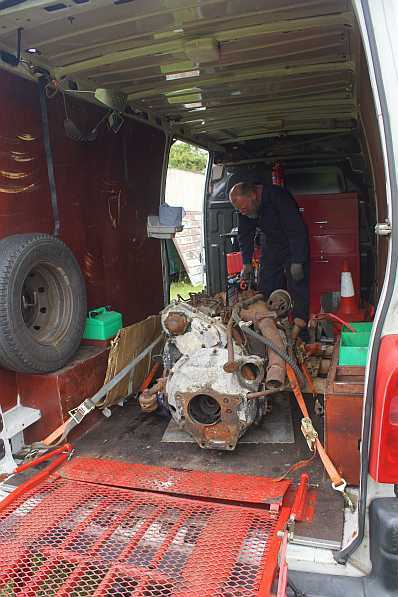 The fully removed engine is now being examined by our engineer, Tom Bewick. 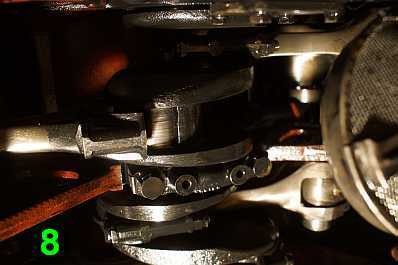 On the left below (33), the engine has been separated from its gearbox, and on the right the condition of the clutch can clearly be seen, judging by the polished rivets failure would not have been far off. One of the bonuses of removing the front axle is that we can see the front brakes in great detail. 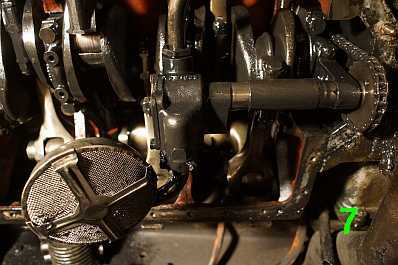 It would appear that the air cylinder on the left of the brake was not a standard Westinghouse part and was probably made at Silverhill Depot when the bus was in service. 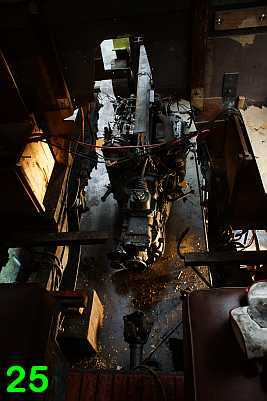 Left, another view of the engine and gearbox from the lower saloon prior to removal. 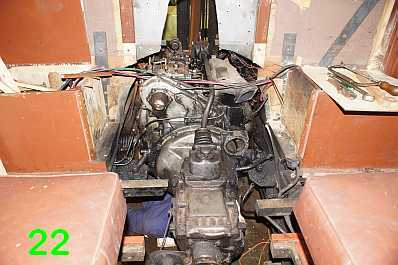 You can see where the bulkhead was cut away to facilitate the installation of the engine and this cutout was enlarged to admit our lifting beam. 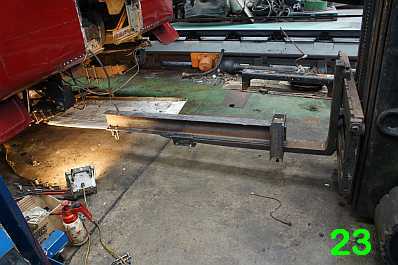 The picture on the right shows the engine and lifting beam with the engine now laying on the floor. 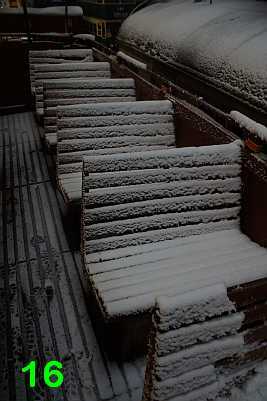 A lot of the work was being done with a blizzard blowing outside, snow was blown under the depot roof glazing and settled on the top deck of the bus!